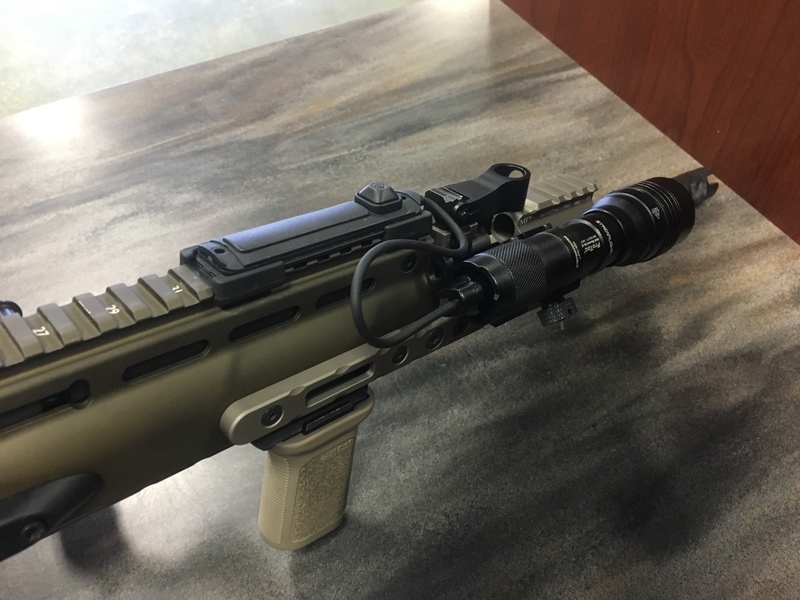 Choosing a weapon mounted light is one of the more difficult accessory decisions, second perhaps only to an optic on long guns. There are a myriad of options that span a wide price range from well under $100 to several hundred. The HL-X is their new 1,000 Lumen programmable model and the rail mount version is, as the name implies, picatinny rail mounted. Configurable with either a standard momentary clickable on/off tail cap or a two button remote switch (included) the HL-X is equipped to go on a rifle in either configuration immediately. A real quick run down on the light. 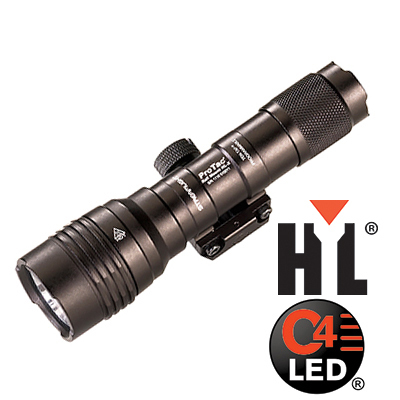 The HL-X has a 6000 series anodized aluminum body, a single picatinny rail clamp, a crenelated reflector housing and lens rated for “impact”, C4 LED, high/low/strobe function that is programmable, and IPX7/4 rating (tail cap dependent) for water and debris resistance. It’s the usual advertising sheet of shiny number laden factoids but it boils down to couple salient points. The HL-X has an aluminum body and mount. The HL-X has two operation configurations, tail cap and remote switch. The HL-X has a 3 mode program selection. The HL-X holds a water resistance rating, it is sealed. Let’s define this last point first. The IPX7/4 rating depends on whether the tail cap or remote switch are installed. With the tale cap the HL-X is IPX7 rated, it can be submersed in water up to 1 meter deep (for water pressure) for 30 minutes. With the remote switch equipped the rating drops to IPX4 “a splash of water from any direction for at least 5 minutes”, while the light (specifically the switch) is no longer submersible it can still handle getting wet. Rain shouldn’t bother it and if anything the tail switch will be the effected compontent. It’s 9 degrees outside so testing it in the rain has been… seasonally problematic. I equipped my LWRC PSD with the HL-X in tail cap configuration. 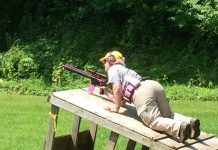 The 5.43″ length and 1.72″ height made this less than ideal on an short barreled AR. Changing to the remote tape switch was far more usable and added a greater degree of ambidexterity. I don’t plan on swimming with the light so using the tap switch doesn’t bother me from a durability perspective. 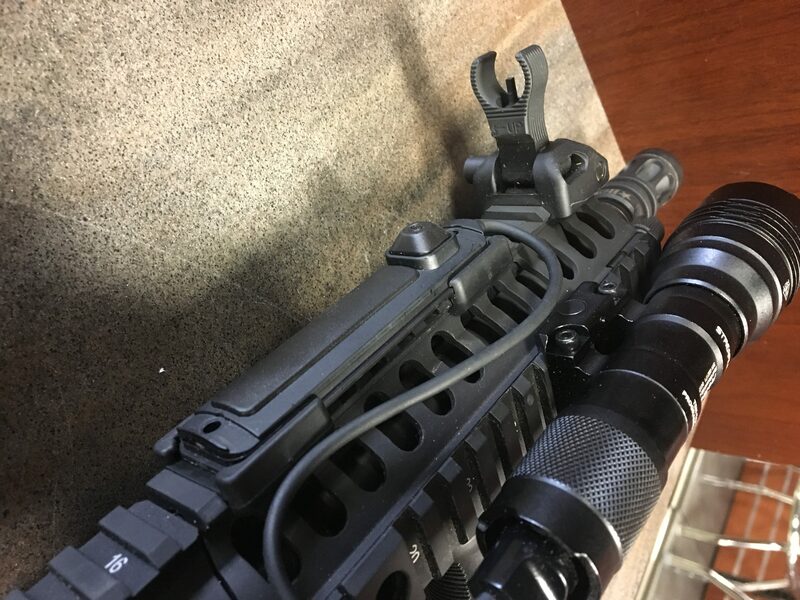 Of note is the Mil-STD 1913 Picatinny mounting hardware included for the tape switch, rubber end pieces that slide onto and hold the switch to the rail, another out of the box usability factor I’m happy to see Streamlight add. While possible, I didn’t experience the switch becoming dislodged from the mount during use and hardware is provided to prevent that. The more of that you use the slower it is to move the light around though. The HL-X’s programmable feature is not only appreciated, its necessary. I’m not certain who in the flashlight community decided everything needed a Morse Code series of taps that unlocks and activates a rave mode. The factory configuration of High-RaveStrobe-Low has no tactical application. In all my military and extracurricular tactical shooting training strobe was not used, none of my issued illumination equipment had strobe. Strobe does as much to confuse your vision as it does the potential threat and it is a non-intuitive series of control commands on most lights to activate the strobe and keep it going. But with the TEN-TAP program you can switch it to the high only, or low/high modes. I use high only since the HL-X does not serve as a long duration search light, I have a handheld for that. Use of the tape switch gives a tactile difference between the momentary switch and the click on constant on. Press the long switch for on and release for off or click the button to turn the light on until you click it again and turn it off. If you’re using the light in a constant on search mode you can set it into the third mode low/high so low comes on first and this greatly increases battery life. TEN-TAP is simple, you press the on switch 9 times quickly (less than .4 seconds between taps) and hold on the 10th. The HL-X will turn off after about a second. It has now switched to the next mode. On my PSD the HL-X performed it’s functions to my satisfaction. 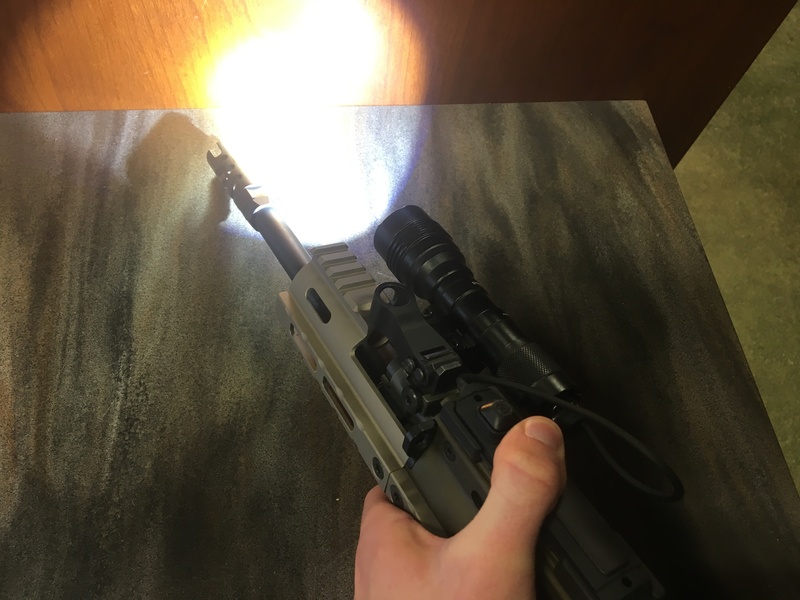 During these months of use, live fire testing near the muzzle and piston, it has not dimmed or wavered, the beam has been constant, the batteries did not come off the contacts during recoil causing any flickering or failure, and the light did not malfunction in programming and switch to any other programmed mode. The only issue (you can see above) is the HL-X took up the majority of the side it was mounted on making in use ambidexterity an issue. There are quick quality fixes like this offset mount from HSP but I did not avail myself of one. 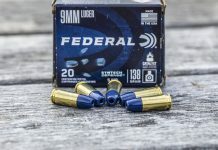 I returned my smaller Inforce WML to the PSD and challenged the HL-X on a new rifle. While i didn’t experience issues with the cord near the gas block (seen here) I have flipped the switch around to be sure since. On the FN SCAR17s I used a Magpul M-LOK offset mount and had a great deal more room to work with. On the conventionally sized rifle the HL-X could be mounted and used in a fully ambidextrous position easily. Recoil resistance of the HL-X on the SCAR17s continued. 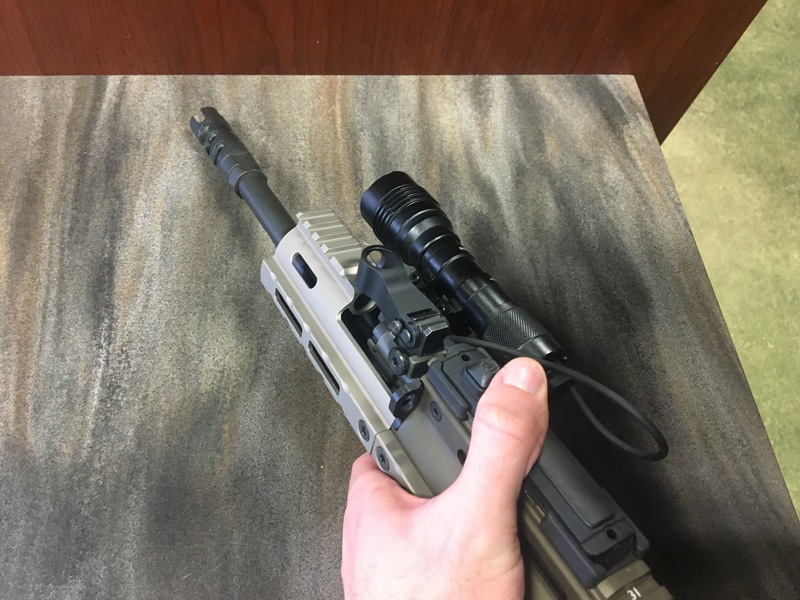 No stoppages of the light during recoil, something I had experienced on the Type 1 RMR on my Trijicon ECOS, if any rifle would cause issues the 17 would. The HL-X’s 1,000 lumen brightness is impressive. It can even be over bright depending on your other equipment and setting. 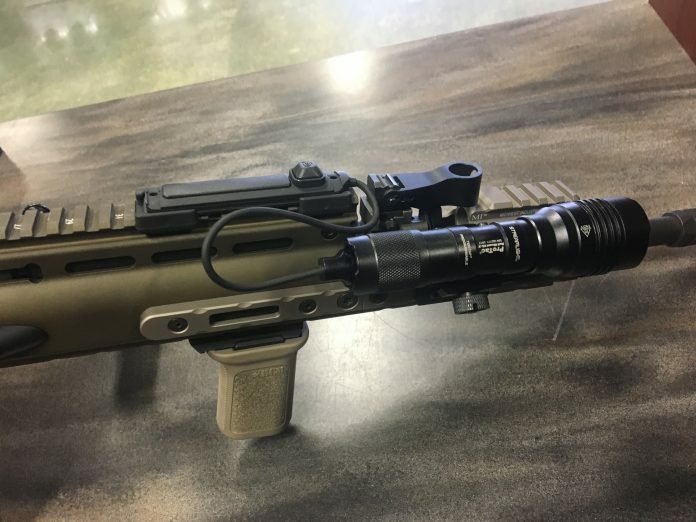 Testing the light with five different optical set ups the HL-X can overwhelm and wash out “auto-brightness” optics like certain RMR’s or the Meprolight M21 in an indoor dark environment. Manual optics like the Trijicon MRO can be set to a brightness that does not washout but they tend to be so bright they’re “bleeding” without the light. The best optic was the ACOG with it’s solid etched reticle experienced no washout and contrasted nicely. None of these washout issues were prevalent outside unless illuminating a close wall or object with an optic set to match the darkness. Even then it was less severe than indoors. This is not an issue with the HL-X, it happens with any bright light. There is no doubt the HL-X lights up a room. It will remain on my SCAR for the foreseeable future. A demonstration of “washout” with the auto brightness sensor on my camera. Does the HL-X get my recommendation? Yes. For just over $100 the HL-X has stood up and delivered. It’s greatest physical limitation is the IPX rating that places it in the capable outdoor light category, which will only matter if you need to swim with your rifle. Even if your gun goes for a brief dive without you the light itself should be fine, the remote switch may give up the ghost but that’s an easily replaced item. Also consider your available mounting space and how you intended to mount the HL-X, it does not have the smallest of footprints (compared to some OIF/OEF deployed lights though its downright microscopic). 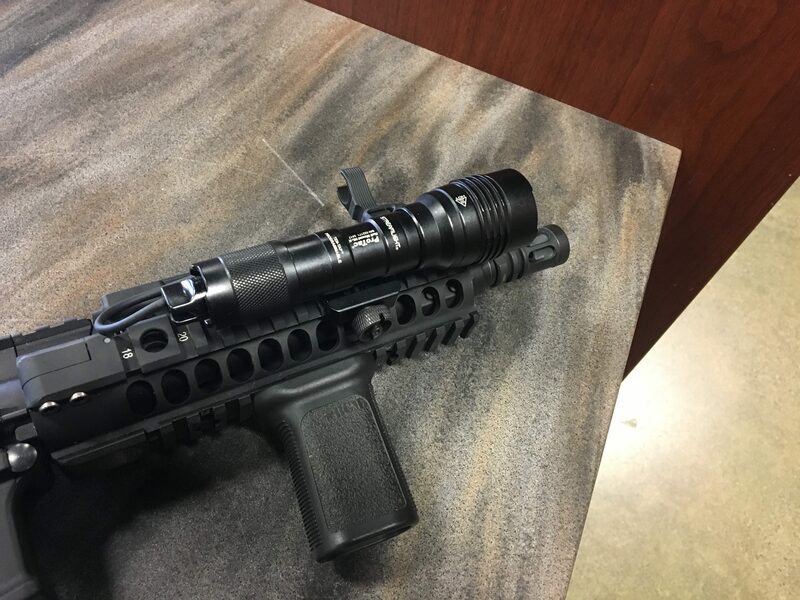 Streamlight places a limited lifetime warranty on the Protac HL-X for any other issues you may run across. Streamlight will be out at booth #12562 in Las Vegas for SHOT Show and I hope to swing by. They’ll have the HL-X, TLR-6, and much more on display and the visit should be quite illuminating. Pun always intended.